Known for their exact design, fine quality and durability, our Magnetic Separator Grill is quite popular among the customers. As a leading Manufacturer and Supplier, we keep our quality in synchronization with our reputation. It is procured from the reliable vendors who put quality on the top of their priority list. We make it available for pocket friendly rates. You may also get it delivered by our valued customers. 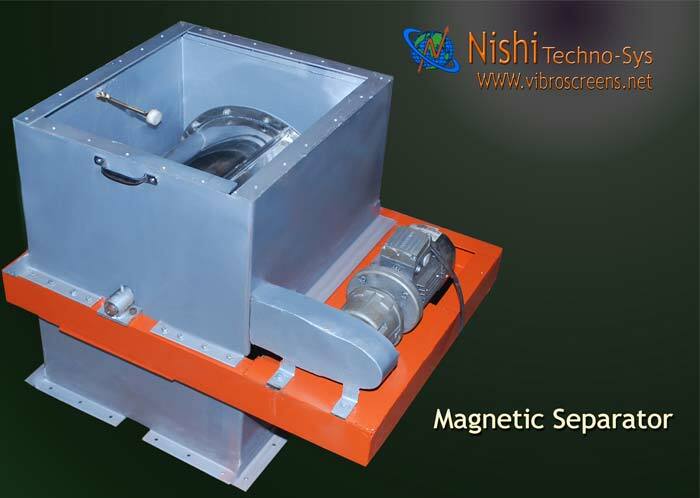 Magnetic Separator Grill : As per customer’s size requirement we are developing magnetic grills, we are providing magnetic grills from 1000 Gauss power to 10000 Gauss power. It is used for to avoid iron particles contamination during packing. Magnetic Grill can be mount directly on Silo / Storage Hopper or in between 2 pipe lines in Liquid Flow.